Natural Papaya flavor offers the exact sweet tasting of papaya fruit with aromatic undertones. It adds unique aroma and scent to your next unique drinks. 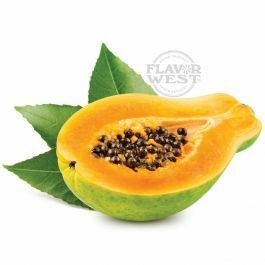 Type: Papaya All Natural Water Soluble Flavoring. Ingredients: Natural Flavoring, Propylene Glycol , Water and Ethanol. USP Kosher Grade Flavoring. Usage Rate: 15-20% for E-use. Flavor suitability: Suitable for beverages, drinks, soap making and much more. Specific Gravity: 1.02 No Refunds on Flavoring.